This is the inaugural industry dynasty mock draft for The Fantasy Fix, as we’ve typically just conducted purely single season mocks – but not this time – this time we’re running a-mock with dynasty picks. 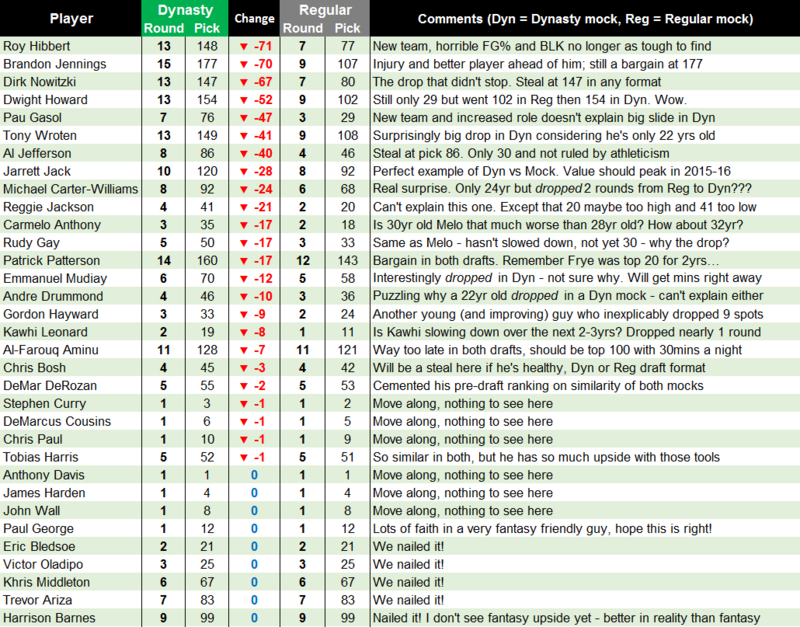 Constantly keeping an eye on the future while swimming with the fishes in the current is always a tough task in dynasty leagues, but typically it’s an enjoyable one complete with varying levels of fantasy fulfilment and frustration. I’m in two dynasty leagues, one has been going for nearly a decade, while the other just had its inaugural season. In my long-running league the best move I’ve done was trade Ty Lawson straight up for Stephen Curry – the season after Curry battled ankle injuries for the whole year. In my new league I managed to nab Russell Westbrook just prior to his explosion for Damian Lillard and Bradley Beal, which is still a gamble based on Russ’ injury history and Lillard and Beal’s room for improvement this season. Of course with the ups, comes the downs. 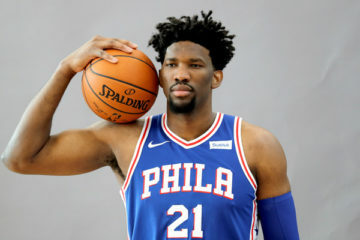 Anyone who drafted Joel Embiid (or Greg Oden a few years earlier) knows the pain of sitting on a young player and essentially seeing that pick wasting away off the court. I also traded Joakim Noah prior to the 2013 season for…Iman Shumpert and Trevor Booker. Wow. 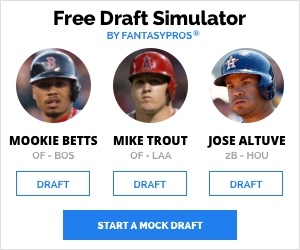 I wish Yahoo didn’t have your entire fantasy history available at the click of a button. See? Ups and downs. Such is the fluidity of a dynasty league; you’re essentially always going to find a point in the season where you have to make a decision – blow it up and build for the future, or trade in your youngsters with potential for proven veterans. So while it can often mirror the real NBA season, we get a much longer leash than an actual GM in regards to holding onto young talent or trading for a guy with a monstrous contract. For reference, here’s the mid-season industry mock carried out by the Fix’s Zack Rewis. It’s definitely worth a read just to see which players have moved up and which players crapped the fantasy bed post AS break. If you haven’t checked out Zack Rewis’ industry mock (regular, not dynasty based), then check it the hell out now. It’s full of many of the same writers and their expert opinions and later on I’ll touch on some of the biggest variations in terms of player selection between our regular and dynasty mocks – there’s some serious jumps and drops! Clear your afternoon, this expert analysis is a fantasy mockumentary in itself. I’m going to concentrate more on the top half to two-thirds of the draft, as that’s where the big plays are generally made so you’ll see a lot more analysis and questioning on those rounds. There’s also a big breakdown you can view in full (first half here, second here), which compares Zack’s regular mock and this dynasty mock, so you can literally see every player drafted in both drafts and how they either moved up or down. I’ll go into more depth on this later. Round 1 started out with the predictable Anthony Davis selection at the top spot; it’s not every day you get to draft the #1 player in fantasy in a dynasty league where you have control over a 22-year-old fantasy phenom for a number of years. From pick two on, things got interesting. Bobby, talk us through your Wiggins selection at number 7. You took him ahead of some other young, more proven fantasy stars like John Wall, Kyrie Irving and Damian Lillard, as well as some other older stars like LeBron James and Chris Paul. Was it an easy decision and was it done more with an eye on the future or do you think he pays immediate dividends? “Wiggins was a pretty easy decision for me. I was choosing between Lillard and Wiggins, but since PG has become so abundant in the modern NBA, getting a top 5 upside fantasy player in the scarce SF position was a no brainer for me. Wiggins’ accelerated learning curve was pretty insane during his rookie year. I’m all over DeMarcus Cousins this year and many experts such as Josh Lloyd support this. In my main keeper league, I just traded Carmelo Anthony and Paul George for Boogie straight up (it also meant I had a free spot, allowing me to keep Eric Bledsoe too, boom!). Paul George book-ended the first round and Zack Rewis paired him with Damian Lillard, forming a potentially massive PTS/3PT/FT%/ASST/STL duo to start his team with. Concerns abound over George’s injury and potential position change to PF for the Pacers, along with Lillard’s newfound solo star status for the Blazers. “I’m obviously not concerned about the Paul George injury at all, and I’m not real sure why anyone would be since he returned to the court at the end of last season and has been strengthening it even more the past few months of the off-season. Playing some minutes at PF doesn’t push him up or down for me, aside from that he may increase his boards slightly, which he was already averaging 7+ RPG 2012-2014. Round 2 in a dynasty mock is often where those big, young names are selected ahead of the older, more serviceable players. I fully expected typical second round picks like LaMarcus Aldridge, Al Horford, Carmelo Anthony and Marc Gasol to slip down a round or two – which they all did, with some slipping further than others. Carmelo Anthony in particular seems to be underrated this season, despite Yahoo giving him an overall rank of 13th. He isn’t being talked about as a potential first round pick, despite his 2014-15 per-36 stats essentially mirroring his first four seasons on the Knicks: 24.4pts, 6.7reb, 3.1ast, 1.0stl, 1.5 threes and 44% shooting from the field with 79% at the line. He’ll have high usage as he always does, so if you don’t get a high volume scorer in the first like Durant, Harden or LeBron, he’s a great fall-back a round or two later. There’s more on Melo in the Round 4 recap further down. Karl-Anthony Towns is a name everyone needs to take note of, particularly when it comes to dynasty leagues. The kid has superstar potential and he has the ideal mentor with Kevin Garnett barking in his ear and showing him how a 19-year-old needs to conduct himself to succeed in the NBA. Below are some top overall picks over the past 20 years; mostly centers who started out as starters right out of the gate, but some power forwards thrown in there also. I left out the injured and disappointment types (yes, you Greg Oden, Kwame Brown, Michael Olowokandi and Anthony Bennett), as well as the fantasy superstars who showed their 20-10 A-game right as soon as they stepped on the NBA floor (Tim Duncan, Elton Brand and Blake Griffin). Using the ‘other’ big men top picks, I’ve come up with some incredibly flawed projections based on their combined rookie season averages. Changing only his free throw percentage to his Duke rate of around 80% – these numbers don’t seem like they’re too far-fetched for his rookie campaign – apart from the minutes played (31.1), which he likely won’t approach this season. My man Matty Smith, you’re driving the KAT train – what do you expect him to do years 1-2-3 etc? Were you tempted to go with Kawhi Leonard or Jimmy Butler, who went just after him? “Karl-Anthony Towns is going to be a fantasy beast. I don’t expect him to come into the league and dominate straight away, but I think he will have a solid rookie campaign. By the end of next season I can see him being a top 30 player, by the end of his third season a top 15 player, and in his fourth season he will be a top 5 fantasy player. We could very well see 20 points, 10 rebounds, 2.5 blocks, 1 steals, 0.5 threes on 50% from the field and 80% from the free throw line in four years’ time. In short, Karl-Anthony Towns will be Anthony Davis-esque. Before the draft started, I knew if Towns was there at pick 17, there was no way I was going to pass on him as I rate him even higher than that – he is the 10th ranked player in my current dynasty rankings. 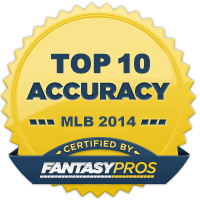 In a keeper/dynasty league you may only get one chance to own a top 5 fantasy player and that is via the draft. 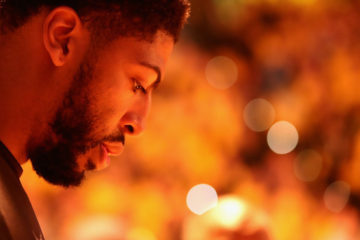 If you are an owner of Anthony Davis would you trade him right now? Round 3 proved to be a fruitful round for power forwards, with seven of the twelve players selected being eligible at that position. There was a nice mix of youth (Victor Oladipo, D’Angelo Russell, Bradley Beal), players entering or just into their prime (Nikola Vucevic, Brook Lopez, Gordon Hayward, Derrick Favors), and then some players about midway through their primes (LaMarcus Aldridge, Paul Millsap, Carmelo Anthony, Marc Gasol). And then there’s Kevin Love. What to make of the former first round fantasy stud? It’s easy to look at last year’s ‘failure’ in Cleveland (16pts, 9reb and 1.8 threes – only Love and Dirk have done that over a full season, FYI), but he’s still the only member of the 20pt-15reb-1.0 three club (2010-11) as well as the 25pt-12reb-1.8 threes club (twice no less, in 2011-12 and 2013-14). Not a bad rap sheet for someone who will only be 27 years old when the season starts, but what version are the Cavs (and you, his fantasy owners) going to get? Next up on the question wheel is Russell Peddle. It’s always a nice start when Stephen Curry is there at number 3, then you took three fantasy studs at PF/C with your next three picks (Ibaka at 22, Love at 27 and Drummond at 46). Russell, when you draft an elite PG early on did you immediately breathe a mock-sigh of relief and decide to go big, or you went best player available and I’m just looking too much into the PF/C guys? “For my first half a dozen picks, I’m generally always in “best player available” mode. I was definitely comfortable going big after locking down the point guard position with Steph, especially in a league with a PF and two C slots in the starting line-up. What was nice about the combo of Ibaka, Love, and Drummond is that they’re oddly complementary without overlapping too much. What Love gives up in blocks and FG%, the other two make it up. Drummond doesn’t hit threes, but the other two are among the best C-eligible players in that area in the game. Drummond’s FT% is a big concern for most people when drafting, but those first four picks combined to shoot 70.6% from the line last season, thanks to Steph being a stud in that category and the other two being the rare kind of bigs that hit over 80% from the stripe. I knew I could easily bring that up to a competitive level as I filled out my line-up with guards and wings. As I touched on earlier, I personally think Carmelo Anthony (pick 35) is being severely underrated this season, at least in the mocks I’ve seen. Marc, are you concerned with his health going forward? It also looks like you’re more in ‘win now’ mode with your big guns early on – is that a fair assessment? “In most dynasty drafts players like Giannis and Wiggins will go in the first or second round based primarily on their future potential. After the draft, if you were to go to the Giannis owner and tell them that someday, eventually down the line, Giannis would top out by averaging 25 ppg, 7 rpg, 3 apg, 2 3s, 1 spg, 0.5 bpg and shoot a killer percentage from the line, then that owner would probably be thrilled and feel like they got a great value. With a player like Carmelo there is no waiting and hoping, he is already at that level. A pair of Hawks led off Round 4 with the perennially underrated Jeff Teague and the suddenly Yahoo-overrated (11th ranked for 2015-16) Al Horford, and there were some heavy hitters in the bigs department. Three of the biggest FG%/REB/BLK contributors flew off the board this round, with DeAndre Jordan (pick 39) being followed by Hassan Whiteside (at 43), who was surprisingly chosen ahead of Andre Drummond (pick 46). Of course all three are absolute torpedoes for your FT% whilst being void of assists or threes, but for those of you who like to try and balance FT% out later or ignore it completely, their stats are pretty monstrous. “I was seriously considering selecting him in the third, so you can imagine my excitement when he dropped to me in the 4th-round. If you can’t tell, I’m all-in on Whiteside this year. After the All-Star break, the 26-year-old averaged 13.7 points, 11.7 rebounds, 2.8 blocks, and a 61.7% mark from the field. He was thrust into the limelight last year and exceeded all reasonable expectations and there’s no doubt in my mind he can take another step forward this year as he gains more experience. Foul trouble and his free throw shooting are areas he needs to improve upon, but he has a decent stroke, so I’m betting he does. Round 4 and 5 repeated the PG heavy trend of the first round, with 10 of the 24 picks being PG eligible. Small forward continues to be top-heavy and thin in the middle, with just five of the picks in these two rounds able to be plugged in at that spot. If you don’t land a big name SF at the top, wait until later on to plug in a known commodity who will be there after the first 5-6 rounds, i.e. your Trevor Ariza, Chandler Parsons, Danny Green, and Khris Middleton types. Ricky, it’s always a luxury batting leadoff and homering with Anthony Davis. Jahlil Okafor and Elfrid Payton are nice young prospects, how do you think they’ll go in the next 1-2 years and do you see them becoming elite fantasy players eventually? “Yeah I loved landing those young talents in the early rounds because I see big things ahead for all of them. 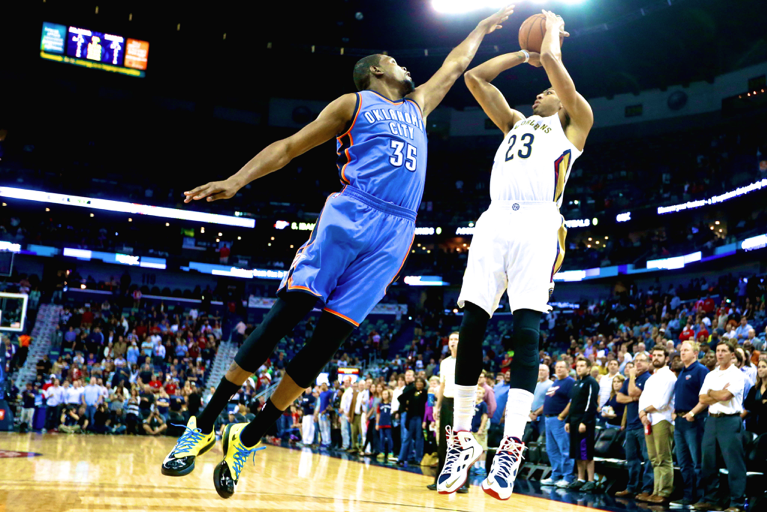 Anthony Davis is a pretty obvious one and the biggest obstacle for him seems to be his health. If he can ever put together an 82 game season, he can do Hakeem Olajuwon-esque things which made him an easy pick for me at one. As for Elfrid Payton, I didn’t believe he was the type of passer that Rajon Rondo was but he certainly developed as the season went on. The more I watched him, the more I thought he really could be something similar to the triple-double-threat-every-night Rondo. Having already built a rapport with the other standout guard in the system (Victor Oladipo), the arrow is pointing way up for Payton as he continues to mature. Round 5 featured one of my favorite players going into 2015-16, Nikola Mirotic. The Chicago Bulls’ frontline is more stacked than a Vegas showgirl, with enough PF and C assets at their disposal to make most of the league jealous. Mirotic’s rise to prominence last year was all the more impressive considering his coach isn’t exactly known as being a free spirit on the offensive end, nor did he get enough starts to make him stand out (just 3). But, boy did he make his minutes count when he got them. Then there’s his per-36 minute stats, which were actually quite kind of a big deal. No player in NBA history has ever had a season averaging per-36 minute stats of at least 18 points, 8 rebounds, 1.2 blocks and 2.2 threes – except Mirotic, in his rookie season. Not Bird, Dirk, Sheed, Marion, Durant, LeBron or any other fantasy stud you can think of. Add in 1.2 steals, just 1.9 turnovers and 80% free throw shooting (at 5.3 attempts per-36) and you’re looking at a completely unique fantasy beast that has top-20 potential, if not higher. I know whatever league I’m in with Matt Smith, I’m going to be battling him to draft this guy. Not even midway through the draft when we got to Round 6, talented young bigs once again came to the fore. Jusuf Nurkic was the last pick of the fifth round, selected by Marc Roberts and I was quite gutted he didn’t slip to my next pick. Nurkic is recovering from knee surgery (that was successful, yay! ), which means his massive frame might have some baby-fat on it when the season tips off in October. Back to Big Zack with fries, you took a ‘safe’ young big with upside at the end of Round 5 (Jonas Valanciunas), then you stole Myles Turner from me with the first pick of Round 6. What are you expecting from them both this year and do you think Valanciunas can take that next step in fantasy? “While I can’t be certain this will be the year we get to see Jonas jump from solid to elite in the big man standings, I am certain that his elite C days will come and that’s why he’s a greater commodity in a dynasty format. You can and see the annual progression despite not even playing over 30 minutes a night over a full season yet. Per-36 of 16.5 PPG – 11.9 RPG – 1.6 BPG with stellar percentages both from the field and foul line, he’s got Brook Lopez stats written all over him, without the injury concerns. He’s a guy who should be — even though he’s already well known — in your next ‘Just Add Minutes‘ column. By the time we reached Round 7 my team had become a black hole in FG%. I took Ricky Rubio in round five then Robert Covington in the sixth, anticipating an uptick in scoring and efficiency for Bob Cov, but no amount of practice and training camp familiarization can turn a 39.6% guy into a 48% shooter overnight. So, for this pick I went with a young big whose well chronicled on-court defensive deficiencies have seemingly tarnished his fantasy prowess. Enes Kanter couldn’t defend a fridge, but the man knows how to score and put points on the board with elite efficiency. Last season he joined Anthony Davis, Kevin Durant and Brook Lopez as the only players in the league to shoot 50% from the field (min. 12 FGA per game) and 78% from the free throw line (min. 3 FTA per game). Essentially, if you’ve got small man stats (AST, 3PT) and/or defensive stats like steals and blocks early on in your draft, you can add a guy like Kanter later on and see him go to work at bringing those percentages up. He won’t do 20.6 points and 11.8 rebounds like he did in his last 19 Oklahoma City Thunder starts, but he’ll go close to 15 and 9 with elite percentages. “I’m under the impression that the fact I was able to snag him [Parsons] with the 78th pick was highway robbery. Sure he’s coming off off-season knee surgery in May, but all the reports regarding his recovery have been positive to date and he’s expected to be ready for the start of the regular season. Round 7 and Round 8 were loaded with players with serious question marks including Markieff Morris and his strained relationship with the Suns; the suddenly too old to be in the top-75, Pau Gasol; likely new starting Wiz SF Otto Porter; newly relocated Monta Ellis; the also suddenly not top-80 Al Jefferson, and finally Frank ‘the Tank’ Kaminsky going ahead of all these guys. Max Haldeman ended up drafting a ton of young talent, which is a luxury when you nab Durant with the second overall pick as well as an underrated player like Rudy Gay in the fifth (pick 50). I was curious about his reasoning behind drafting five rookies, one who has immense potential but is potentially road-blocked at least initially. If the Simpsons have taught me anything, it’s that there’s three ways to draft a team: the right way, the wrong way, and the Max Haldeman way. 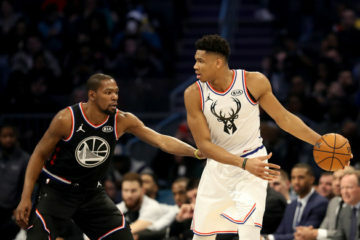 Everyone’s talked about KD and Giannis so I won’t ask you about them, so what do you see in your top three rooks – D’Angelo Russell (Rd 3 pick 26), Mario Hezonja (pick 71) and Frank Kaminski (pick 74)? Mario Hezonja was my selection in the 6th round, which was perhaps another reach. However, I love the abilities that this kid brings to the table. He is 6-foot-8 with a 6-foot-10 wingspan who is a sharp-shooting two guard with excellent ability to score at the basket as well. They have a lot of young talent, which might mean he doesn’t see as many shots as I would like, but there’s no doubt that he has the talent to become a difference maker for the Magic. Josh Lloyd nabbed himself many a bargain after starting with a base of James Harden, Eric Bledsoe and LaMarcus Aldridge with his first three picks. With so much talent available in the latter rounds due to younger, potential picks going earlier, it made his decisions much easier it seems. Chris Bosh at 45, Pau Gasol at 76, Marcin Gortat at 93 and Kevin Martin at 124 all seem incredibly good value in a dynasty league, despite all being over 30. Is it safe to say your team has more of a ‘win now’ approach to a dynasty league Josh? Drafting that many old dogs, do you actively shop any during the season for younger players? “Absolutely! Once some rookies started going off the board in the first three rounds, I decided to zig, while others zagged. Someone has to win this season, so why not me? So, I started looking at players who would provide me tremendous production for at least this season and next, but had slipped due to their advancing age, and I think I was able to do that fairly successfully. While undoubtedly, some of the rookies will be great, fantasy output does not come easily for first year players. For example, last season, one rookie (Nerlens Noel) ended the season ranked in the top-100 for eight-category value on Basketball Monster. The season before, it was Victor Oladipo and Michael Carter-Williams. In 2012-13, it was Damian Lillard and Anthony Davis. Ricky Rubio and Kyrie Irving were the only two rookies in the top-100 in 2011-12. My point is that it’s exceedingly difficult for rookies to have a fantasy impact, so when a lot went off the board so early, I knew which way I’d look to build my team. Also going in the eighth was one Michael Carter-Williams. In a blatant attempt to win the hyphen category, Matt Leslie snatched him up with the 92nd pick. And then things got very dashy for what seemed like the 8th manager named Matt in this 12-team draft. Matt you knew this question was coming when you went ham on the hyphen key from rounds 8-10 (Michael Carter-Williams at 92, Willie Cauley-Stein at 101 and then Kentavious Caldwell-Pope at 116). Firstly, how bummed were you when MKG went at 118? And secondly, of these three players who do you think will be a fantasy monster in the next 1-2-3 seasons? “I was going to take MKG at 116 but I needed a shooting guard and I figured that after the terrible year Jodie Meeks had in Detroit, that the door is more than open for Kentavious to do his thing! Will he blow minds? Nope, but he’ll be serviceable! 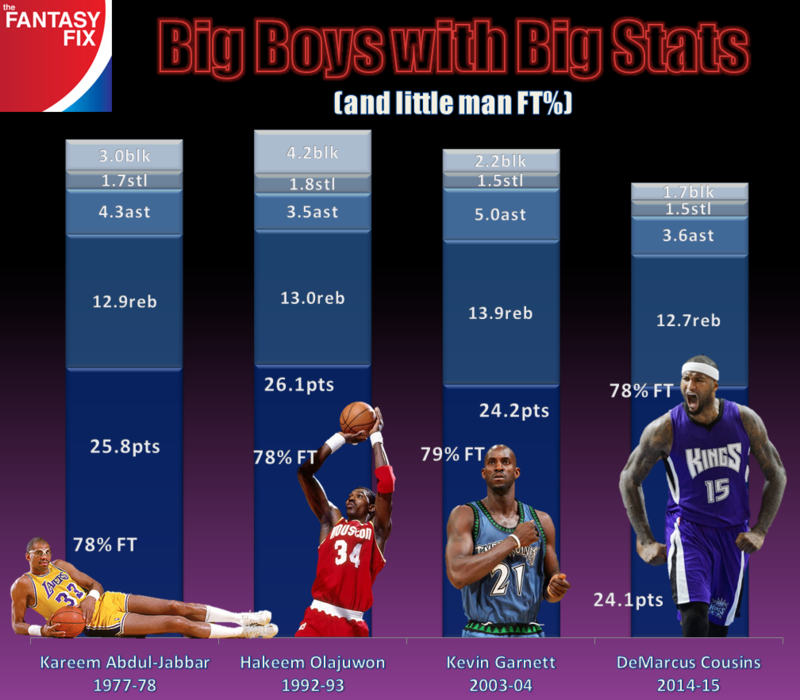 As for who’ll be the fantasy monster, I believe that title lies with Michael Carter-Williams. He’s already shown he can produce at an elite fantasy level and now that he has found himself in Milwaukee, he’ll be under the tutelage of one of the best point guards of the modern era, Jason Kidd. MCW will now find himself with a number of offensive weapons at this disposable; this should arguably see his assist rate increase slightly. Not only that, the floor spacing provided by this team should see him get open more frequently and as such I believe his field-goal percentage should increase slightly. Lastly, with Kidd hammering home the importance of defence, I think it’s possible we could see a small uptick in steals too. When it comes to MCW, I am sold. In fact, if it wasn’t for his poor free-throw shooting, I’d have taken him much earlier. 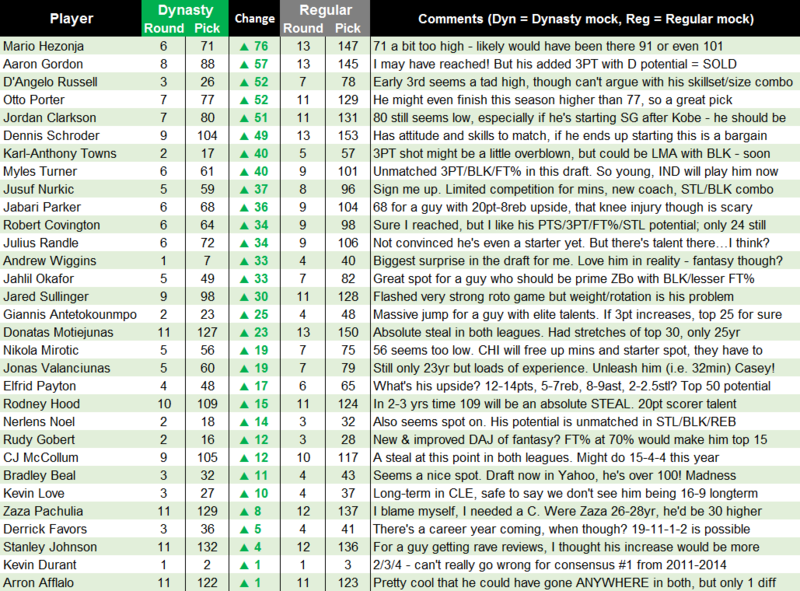 I think Round 9 and in fact a dynasty mock in general, can be summed up by the back-to-back picks of Willie Caulie-Stein followed by Tim Duncan. Those two picks, made for completely different reasons, sum up why a dynasty draft is a completely different fanimal than a regular one. I’ve written at length about my affection for C.J. McCollum and I’m really looking forward to seeing him getting 30 minutes a night. There’s no reason he can’t provide Leandro Barbosa-on-the-Suns type value at both guard spots. People forget Barbs was a top 50 guy for a few seasons in the valley due to his elite threes and percentages, something McCollum can replicate with his skill-set. Immediately following my McCollum pick, another dynasty sleeper appeared from the fantasy rafters…a Kristaps Porzingis sighting! Matt McLean, you’ve drafted four Euro guys and put your name in the running for the Scrabble All Stars. Tell us about your Round 9 and Round 10 pairing of Kristaps Porzingis (pick 106) and Ersan Ilyasova (pick 111), and what you expect going forward for both. “On the selection of Porzingis, he has the confidence of Phil Jackson and that has to mean something right? Amongst my research on this season’s rookie class, Porzingis screamed long term upside but the clincher for me, was him making the statement that he doesn’t want to be known as another soft European big man! He wants to bang, he wants to rebound and do the dirty work. The shot mechanics are impeccable and he has a beautiful high release. If the Knicks can handle Porzingis correctly and work closely with him, he could very well be the best player that comes from this 2015 draft class. The take on Ilyasova – he is Dr. Jekyll and Mr. Hyde. The good Ersan is a beautiful complimentary piece; he can rebound, he has shot at a near .500 clip from the field, .800 from the stripe, gives you 13 points, 7 boards and a steal per game. Those are handy numbers for the end of your rotation and a guy who is only 28-years-old. A decent risk/reward candidate. Zach LaVine can’t buy beer yet, but the man destined to take the ‘best dunker in the NBA’ mantle for the next half-decade looks poised to take a big leap in fantasy next season. Unfortunately, he has at least one quality shooting guard ahead of him in Kevin Martin (Round 12). LaVine didn’t blow the doors off last season, but he did put up season averages of 10.1 points, 2.8 rebounds and 3.6 assists a game at just 19-years-old. Only LeBron, Kyrie and Stephon Marbury have done that at the same age, and only Irving shot at a better clip than LaVine did from the field at 42%. Why he’s not getting much hype is anyone’s guess (not really, the Wolves have two burgeoning stars in Wiggins and Towns), but just have a look at Kobe Bryant’s post All Star break stats as a 19-year-old (1997-98) compared to LaVine’s last season. They’re not that far off are they? These stats are flawed of course, the Lakers were 27-10 in those games and got swept in the Western Conference Finals; LaVine was playing ping-pong for the Wolves during his stretch as they went just 5-24 to finish the season. Don’t draft him expecting a star, but stash the info away and take a flyer on him late over a ‘known’ guy like Arron Afflalo (Round 11 – about right), Joe Johnson (Round 15 – bargain) or Eric Gordon (Round 13 – contract year). LaVine might just surprise some people – whereas those other guys are as likely to surprise you in fantasy as I am likely to sprout wings and give birth to a rugby ball. Immediately after LaVine went one Rajon Rondo. “There’s no denying the fact that Rondo was an unmitigated disaster in both fantasy and reality last year but at that point of the mock I desperately needed another point guard, so I went ahead and took a flyer on him. His 8.9 PPG was his lowest mark since his rookie season and his 39.7 percent mark from the charity stripe was easily a career-low. The 29-year-old is still a good asset in steals and assists in addition to being one of the more likely bets to post a triple-double on any given night. Hopefully a change of scenery by heading to the Kings and playing with Rudy Gay and DeMarcus Cousins will reinvigorate his career. This one’s a Round 13 special. Who’d have thought Dwight Howard would get passed over for T.J. Warren, other than for a free throw shooting competition? DIRK WERNER NOWITZKI went in this round people! Do we really think he’s fallen so far that even for a team in ‘win-now’ mode he can’t produce better than say Nik Stauskas or Arron Afflalo (sorry Spell Check) or Isaiah Canaan or even Jeff Green over the next two seasons? He faded horribly down the stretch but then turned it on again in the playoffs, so it will be interesting how the Mavs use him and whether he’ll stay at 30mins again or if he drops another 4-5 minutes a night. Through an anonymous tip-off (let’s just say it was a Matt in this draft), I’ve been advised that your team is all aged 25 or under – which is probably the only team to have done this. Explain your thinking here and how many times did you end up choosing a younger player over an established player strictly because of their age? “As mentioned above, if Towns was available at 17 I was going to take him. That meant I would build a team around him that can be a championship contender in 3 years’ time. I also wanted to do something different and give the fine people who are reading this, a different look at strategy and building for the future. By taking Wall in the first round it gave me the option of building a team now, or for the future. After I secured Towns, it was all about stockpiling assets – think of me as the Sam Hinkie of this fantasy mock draft. I basically disregarded anyone who is 26 or older and went with an age + potential approach. Guys like Bradley Beal, Nikola Mirotic and Terrence Jones may break out as soon as this season, while Alex Len and Dennis Schroder will struggle for playing time in the next season or two but will become key players before long. These guys, along with Wall and Towns, will form a core group who will be in their prime when my championship window is open in 3-5 years’ time. At this stage the words ‘brief recap’ is probably a welcome sight! Here are the notable movers and shakers in terms of Zack’s industry mock earlier this month, compared to this dynasty focussed mock. The graphic below shows the players who saw their draft position increase from when The Fix’s regular mock was conducted earlier this month. And of course with players increasing their mock draft status comes the subsequent players who saw their stock decrease. In some instances it remained completely static, expectedly at the top but there were some other darts that hit later on in the dynasty mock. Again, the full comparative list can be found here and here. 7000+ words of ranting and raving about one of our collective favorite pass-times and why you should listen to us. I had a blast doing the mock and then the recap was fun as well, so hopefully some of that comes through in this monstrosity because if you’re not having fun in a fantasy world, what are you doing? Massive tip of the cap to the guys who took the time to help out. We laughed, we cried, we drafted scrubs and we tried justifying them – every one of us should be proud we took a flyer on someone who the rest of the guys thought was utter trash. Keep checking back for more off-season articles here at The Fantasy Fix. We’ve got a few irons in the fire and there’s bound to be one you can read on your bathroom break between lunch and home-time. As always, massive thanks to Basketball-Reference and Basketball-Monster, without which we would be lost for stats and we’d be arguing on our e-porches waving twitter-canes at each other with no end to the argument in sight. Hit me up with any fantasy NBA related questions or feel free to leave comments below!